Svaneti, the mythical western province of Georgia, the land of the ‘Golden Fleece’ (where locals still pan for gold through sheep skins) lies high up in the Greater Caucasus. 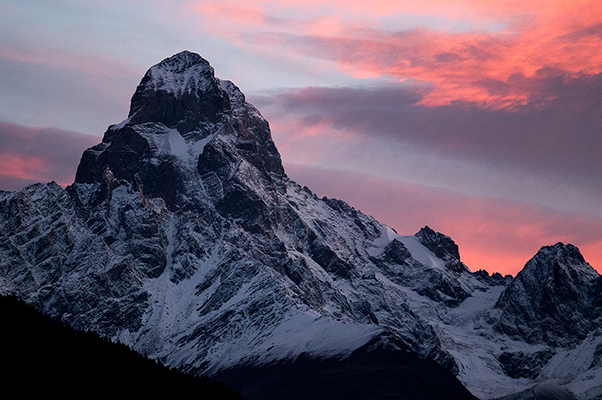 Several 5000 metre plus peaks thrust glaciers down into this beautiful and remote region, where amazing stone towers rise up beside homes, dating back to the 12th century. Never far away is one of Svaneti’s numerous, richly frescoed churches, focal points for lively communities where traditions have been preserved for nearly two thousand years. Unique icons and manuscripts are on display in Mestia’s museum. Mestia, overlooked by huge hanging peaks, is a well known climber’s starting point and the beginning of dramatic trekking trails for the adventurous traveller. 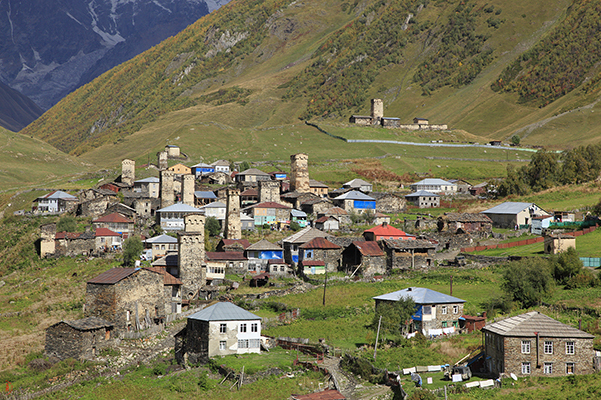 The villages of Ushguli, ‘the highest permanently inhabited settlements in Europe,’ give a stunning view of Mt. Shkhara (5201m) the highest peak in Georgia. Its ragged stone tower villages have been designated a World Cultural Heritage Site by UNESCO. There are many myths of ancient Svaneti preserved in popular folklore. 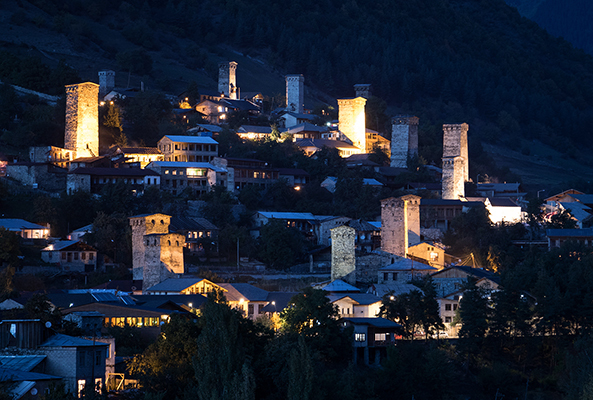 According to one, Svaneti, formerly rich in gold, was the source of the Golden Fleece. Gold was extracted from the sands of the Enguri River and its tributaries. Strabo, the Greek geographer and historian of the first century BC, described a gold-prospecting technique carried out by putting a sheep’s fleece into the river to trap the gold particles. Probably, such a gold covered fleece was brought by Svans as an offering to Aeetes, the King of Colchis that Jason and the Argonauts journeyed to obtain.